Chinese dresser hand painted landscape lucky symbols black with natural wood edges with double doors and 2 drawers.Style: Oriental / Asian. A beautiful eyecatcher for your home. Wedding cabinet gilding painting black landscape with natural wood edges with double doors and 2 drawers.Style: Oriental / Asian. A beautiful eyecatcher for your home. 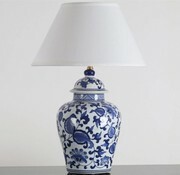 Porcelain vase 16x24x16 WxHxD cm, with shade: 25x13x13 WxHxD cm Delivery without bulbs. Chinese chest of drawers Oriental / Asian style gray 5 drawer with natural wood edges with 5 drawers.Style: Oriental / Asian. A beautiful eyecatcher for your home. A beautiful chest of drawers has 2 doors and 1 drawers. A beautiful eyecatcher for your home. A beautiful chest of drawers has 6 drawers and 2 sliding doors. A beautiful eyecatcher for your home. A beautiful sideboard has 6 doors. One beautiful cabinet handmade solid wood red handmade solid wood with natural wood edges. Inside are (each removable): 3 living floors. A beautiful eyecatcher for your home. The beautiful sideboard with double doors, it is hand-gilded / painted with butterfly and flowers. The butterflies and plum blossoms are symbolic, symbolizing a long and flawless life. 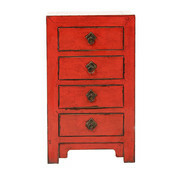 Antique dresser Oriental / Asian style red with natural wood edges with double doors and 2 drawers. Style: Oriental / Asian. A beautiful eyecatcher for your home.